This week was hardly a good week for TV. It was worse than last week which itself was already mediocre. It can be that we are spoiled with too many good TV shows and we are expecting to be confronted with cliffhangers and denouements every episode. It does seem that after the initial excitement of new TV-series and seasons we have entered a bit of a rut. That said, some new shows such as Sleepy Hollow will need to try hard to keep viewers interested because it almost seems ripe for cancellation. Below is a list of TV-shows that I think need some rework. Strangely enough Revolution is not on it. I think for now we should just wait to see if Eric Kripke manages on his own without our criticism. PoI started its third season with two good episodes. Since then the shows mythology has been put on the back-burner and we have been saddled up with more procedural episodes that have so far been either flat-out boring (episode 3) or illogical (episode 4). PoI can hardly give us a mythology episode every week but the absence was more notable when episode 3 ended on the cliffhanger of Root escaping from the asylum while episode 4 made no mention of this development. Sarah Shahi has joined the cast as Samantha Shaw to help out Finch and Reese. I have looked forward to this throughout the summer but so far her character has had a hard time integrating into the group. She also hardly seems like the same character that we saw in season 2. The show’s writers seem too desperate to give her character more flavor but it comes at the cost of believability. For next week we will get more developments about Carter’s storyline when she uncovers that her uniform partner is working for HR. I also suspect we will hear back again from Root, Hersh and ‘The Government’ faction that wants to get its mitts on The Machine. 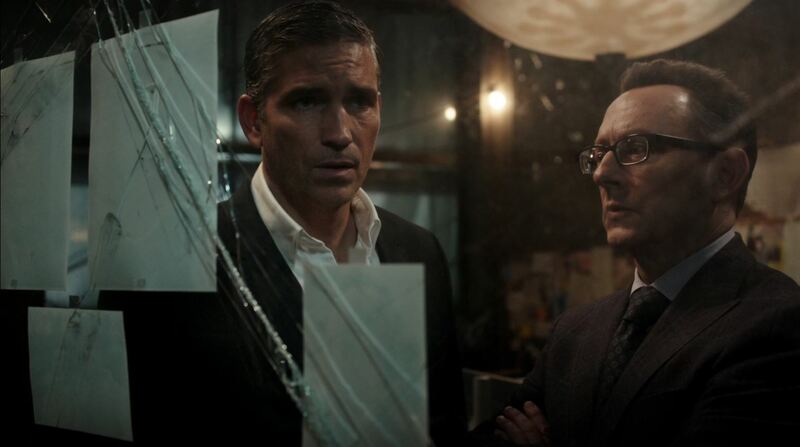 Person of Interest has trouble with keeping its quality consistent. Perhaps trying to better integrate the shows mythology with its procedural elements will help. Fans of horror and the 1999 movie Sleepy Hollow were certainly looking forward to a TV show based on the Legend of Sleepy Hollow. However, most were quick to voice their disapproval when it became clear that the universe within the series had no such thing as ‘The Legend of Sleepy Hollow’. Thus we are following Ichabod Crane in a world were no one has heard of him which in the eyes of many also avoids opportunities for confrontations even if it means the plot can avoid complications. Sleepy Hollow has just aired it fifth and weakest episode. So far there seems to be a slight downward trend in quality ever since the pilot and even that episode got mixed reviews. Sleepy Hollow at times feels too illogical, we know very little about the universe in which it plays and what the rules are. Everybody seems to have secrets and while that may at times be OK at other times it feels more of a TV-show on rails where all the pertinent questions remain unanswered and the illogical moves unexplained. 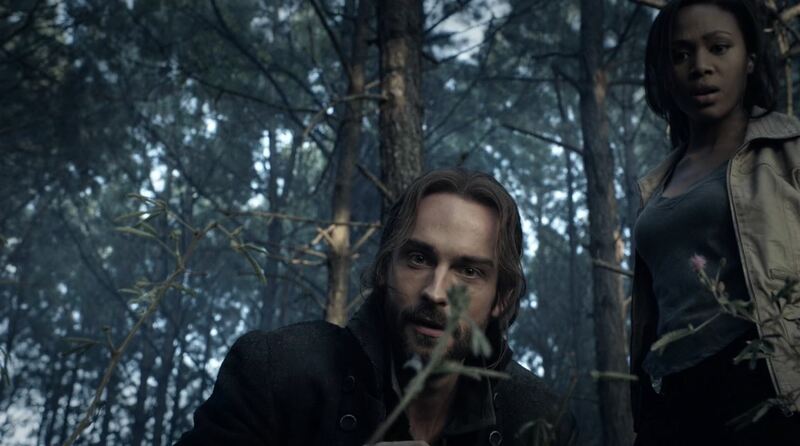 Sleepy Hollow’s strengths so far lies with the character of Ichabod Crane (played by Tom Mison), his antics is so far the only reason I tune in every week. To fix Sleepy Hollow the creative staff such as Orci, Wiseman and Kurtzman will have to give a certain reason of existence to the world which they have created. ooh, and if possible, explain why no has noticed for 4 episodes that John Cho’s character has walked out of the morgue. Sleepy Hollow does seem to have inherited a Fringe vibe from its creators, but as of yet has been able to fully tap into it. Sleepy Hollow has also for some reason far more mysterious than any found in the show been renewed for a full second season. Haven seems to be a bit stuck. The same issues are repeated over and over like a broken record. Season 4 has so far been the worst offender but now that Lexi is finally to be revealed to be Audrey (if you don’t watch Haven you won’t get it) the show can move forward. Only it doesn’t, we are now stuck with Audrey being Audrey and the Troubles are still going on. The problem with Haven is that when the Troubles are over so is the show. So what can the creative staff do, in my opinion go out with a bang and end the show with season 4. Introducing Duke’s brother as the new villain and killing of Jordan for the second time is a dead giveaway that the plotlines are being stretched out. Lucy Liu’s and Jonny Lee Miller’s show hardly deserved to be on this list. Season 1 was fantastic and so far season 2 has just been as good, but the show misses the bat once in a while. The first significant storyline to get it wrong was the Moriarty/Adler revelation from the season 1 finale. This week’s episode starts in a lighthearted way when the victim-of-the-week is found in a latex catsuit, eventually it is revealed that the victim was also the perpetrator of child abuse. I found the latter topic to be undermined with the formers attempt at humor. The back story about Sherlock’s difficult time in a boarding school also comes out flat as does his supposed relation with the suspect of the homicide. To try and convince the audience that they could have known each other is kind of ridiculous. An otherwise fine show elementary still needs to tread carefully if it doesn’t want to ruin the suspense of disbelief. Agents of SHIELD (its simpler) has so far divided fans in the blogosphere. No one doubts it potential and no one challenges the show has gotten off to a rocky start but what irks most fans is the show’s universe. Despite having a perfectly plausible reason for the advanced tech shown in the series it still often feels like a Deus Ex Machina when someone either throws up a force field or uses the latest gun designed by Fitz/Simmons to take out a villain at the last possible moment. 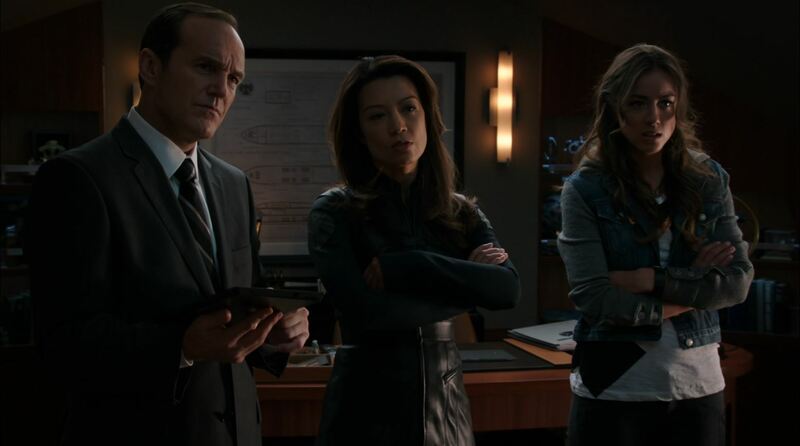 So far agent Coulson and agent May have been the strongest characters in Josh Whedon’s latest series. Other characters such as Ward and Skye feel a too much like cardboard cutouts of previous characters on other shows. Ward and Skye do create a certain dynamic feeling and partly act as the characters that the audience need to relate to in order to make the stories believable. This only partly works until now. The episodes of Agents of SHIELD have certainly not been bad, the last one in particular (Eye Spy) brought with it a bit of Nikita and was certainly captivating. I say give Agents of SHIELD some more time, but will the audience do that as well? Maybe the answers lies in watching other shows. Certainly a few past sure-things have started re-airing and a few new shows have started to draw attention from viewers and the press. Here is a list. 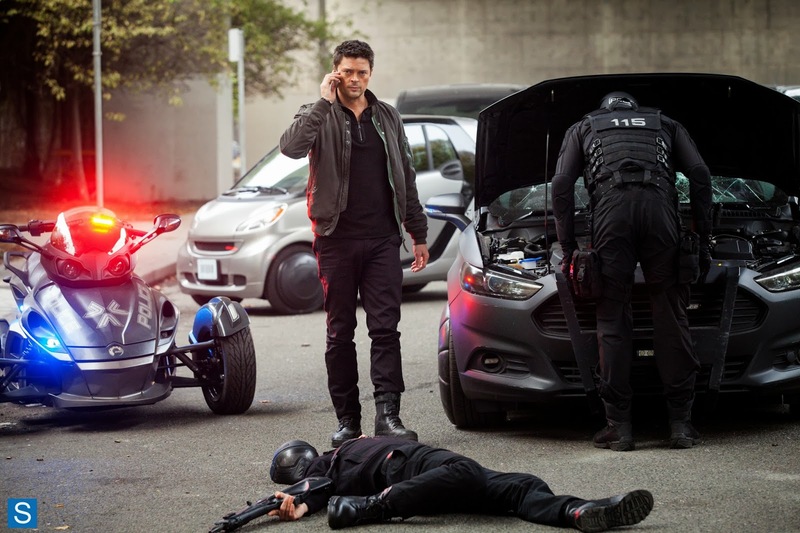 On November 4th viewers will also be able to start watching Bad Robot Productions ‘Almost Human’ which is produced by the creative staff of Fringe and stars Karl Urban. Such a dramatic entry of a new Sci-fi TV series while others suffer from lower ratings could cause those ratings to drop even faster. Tune in to www.SciFiEmpire.net for the Almost Human review after November 4th.